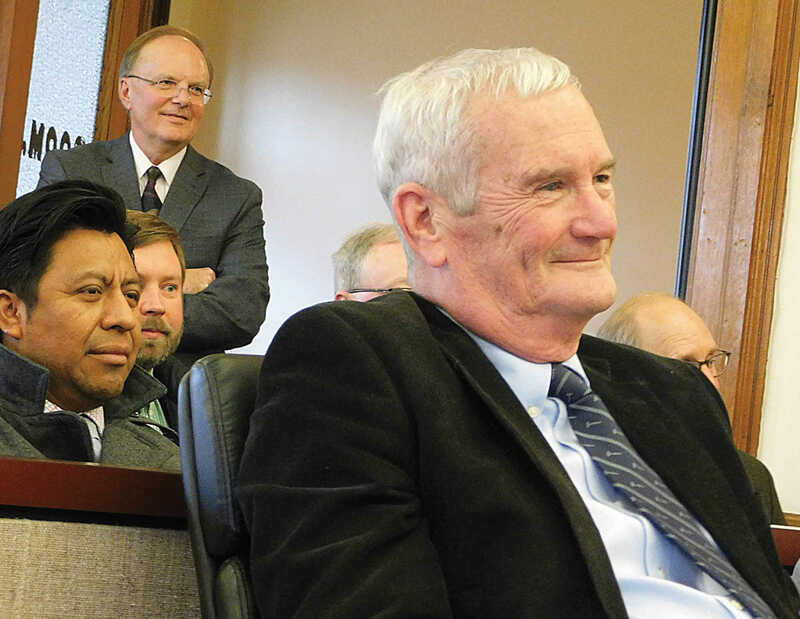 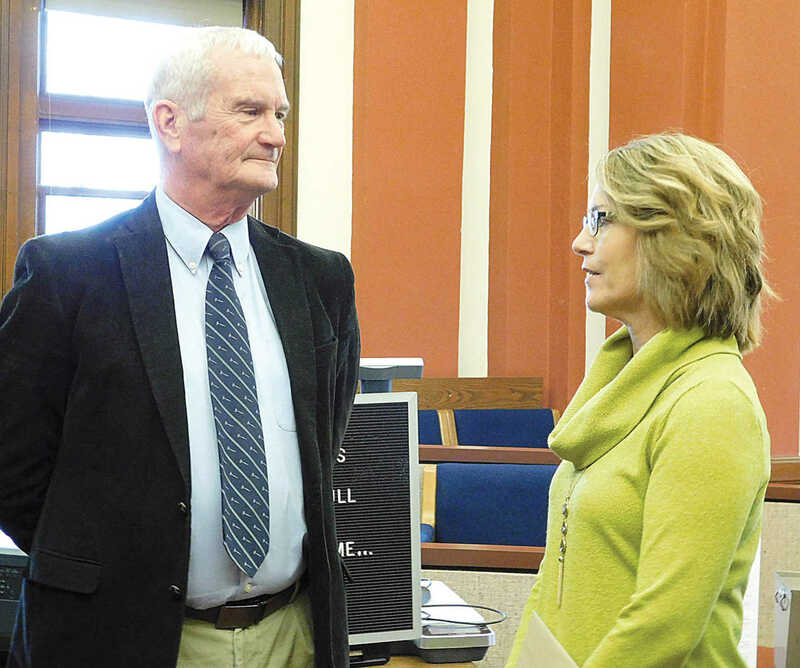 (Sentinel Photos by Beverly Van Buskirk) Third District Court Judge Robert Dull was honored with a retirement reception Friday afternoon in the Plymouth County Courthouse courtroom. 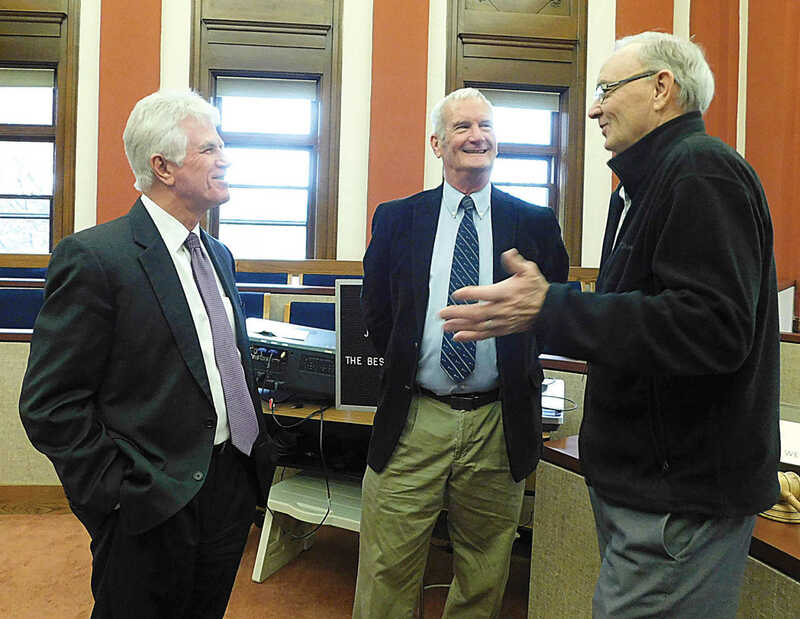 Colleagues and friends came to wish him well as he retires after 25 years as judge. 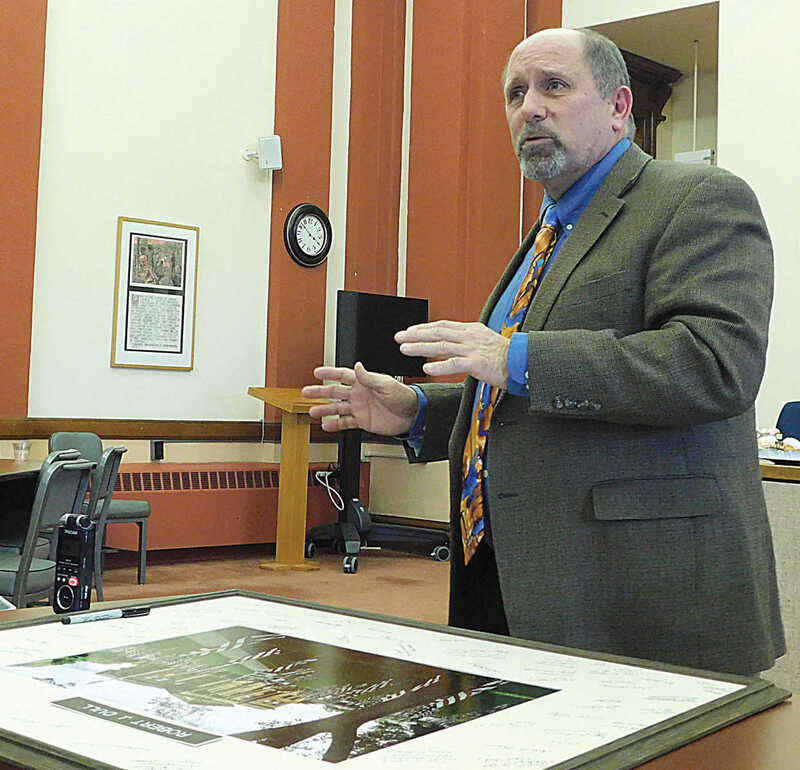 He was presented with a framed photograph of the Plymouth County Courthouse on Memorial Day, with greetings and well wishes signed on the matting.